Galerie KOO is delighted to present ‘Gentle Confrontation’ by the talented Harvey CHAN. This exhibition features a series of fictional portraits—the Speaking Faces, with their gazing eyes, viewers are invited to a conversation and are encouraged to be true to themselves and meet one another without being judgmental. To re-connect with their souls and express a sense of compassion. Harvey CHAN was born in Hong Kong and educated in Canada. Since graduated from Ontario College of Art in Toronto, Harvey has established himself as an award-winning illustrator for over 25 years. His illustration and fine art are rooted in traditional art and developed with contemporary concept. Harvey also taught art and illustration until returned to Hong Kong and found Art for Life Studio. Nowadays, Harvey keeps himself busy with teaching and his personal work. 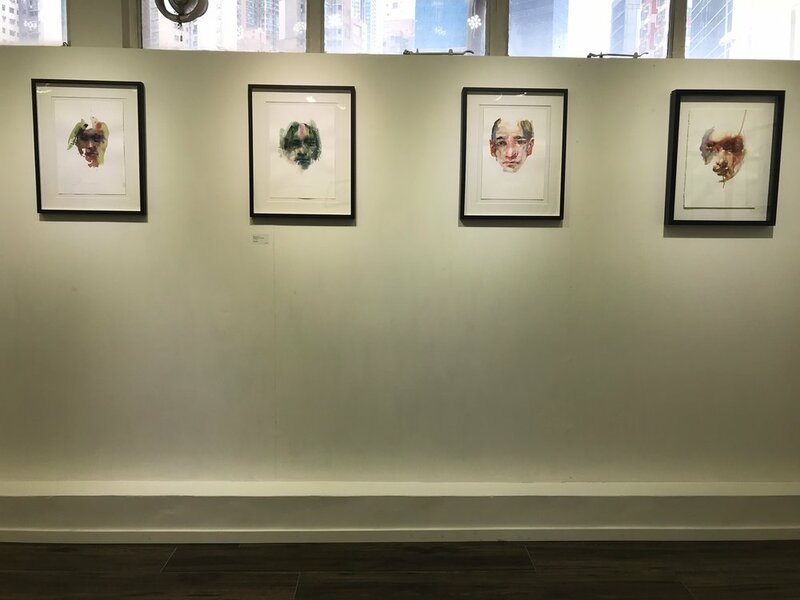 His current series of drawing and painting 'Speaking Faces' which is based on imaginary human faces has become a way for Harvey to re-connect and re-discover himself and people in his world, now and then. A tiny looking back to Harvey Chan's 'Speaking Faces' Series of imaginary human faces, old and new. A continuation of finding the meaning of the creation of these faces with their gazing eyes. They seem to invite a conversation, confronting the viewers without being aggressive or judgmental, seeing through our souls, expressing s sense of compassion, peace, and looking for solution of the conflict or tension.